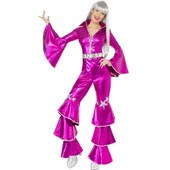 Create the ultimate disco look with this ladies Dancing Queen Jumpsuit. 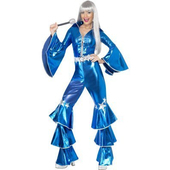 Costume consists of a green shiny lycra jumpsuit with a lace up front, flared arms and flared legs. 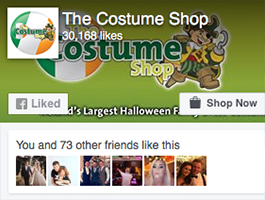 The green jumpsuit has a gold leaf design.